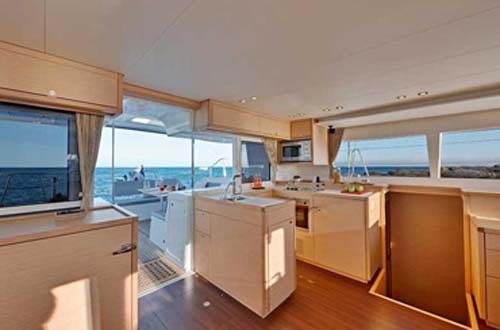 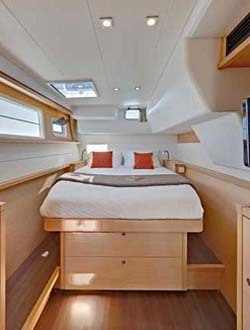 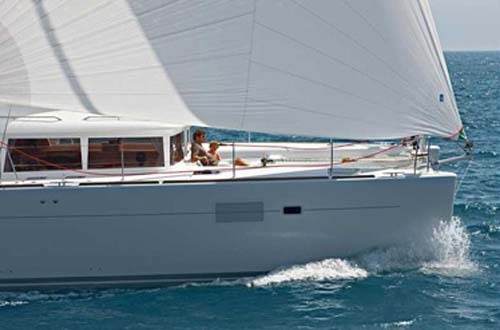 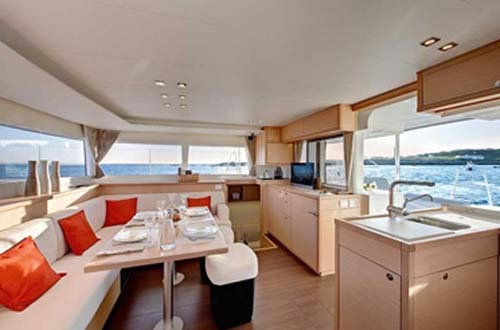 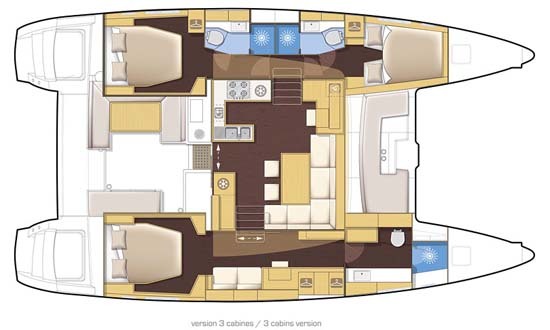 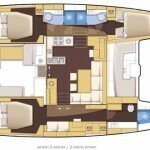 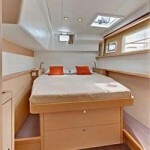 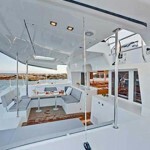 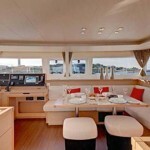 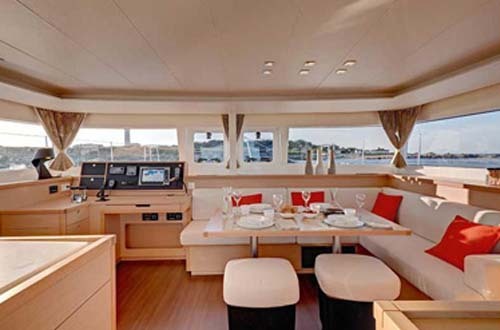 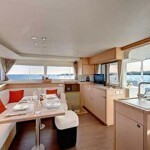 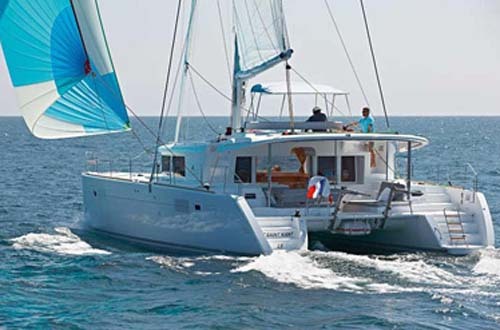 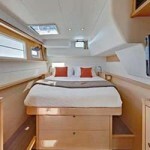 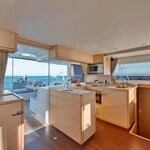 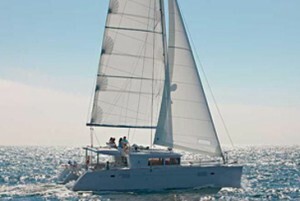 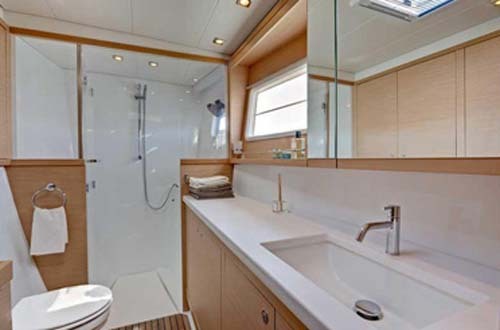 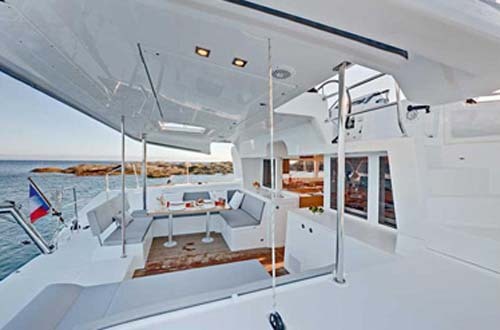 The Lagoon 450 Owner Version is a 46 ft luxury catamaran. 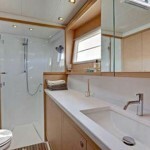 Its accommodations include 3 cabins with double beds to sleep 6 guests and has 3 adjoining full bathrooms. 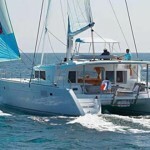 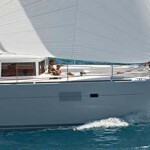 The yacht is licensed to sail with an additional 4 guests for a total of 10 guests. 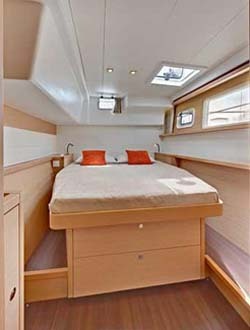 Additional sleeping arrangements may be chosen from either 2 forepeak single cabins or the saloon table which converts into a double bed.